Cornerstone for New Church is Laid on the corner of 3rd Avenue and Monroe. Church Building is Leveled to make way for larger, more modern structure. The New Church is Dedicated. 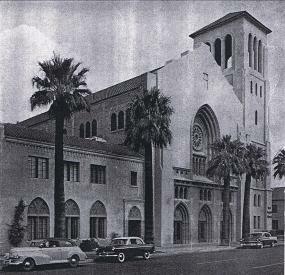 The First Baptist Congregation holds its final church service at the 3rd Avenue Church, and relocates to its new facility on Glendale Avenue. The Church is added to the National Register of Historic Places. A fire is set inside the church spreads out of control and causes hundreds of thousands of dollars in damage. The Church is declared a hazard by city officials, and is set for demolition. The Church is purchased by Housing Opportunity Center. Inc., and is renamed The Monroe Street Abbey. Low-income housing apartments, “The Monroe Street Abbey Apartments,” are constructed next door to the Church.